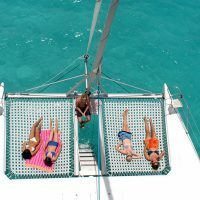 Our catamarans are licenced for 40 passengers. Printed order confirmation, which contains the confirmation number, catamaran tour information and the date of visit. 2. 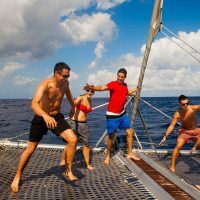 Cancellations made less than 24 hours prior to a booked catamaran tour are not refundable unless a valid medical certificate is produced. For groups of 4 or more a medical certificate will only cover the person who is unwell and 1 carer unless the others in the party are younger than 16 years of age.